Featuring lighter yet stronger castings then our previous model. Our best locking system with the deepest throat in the portable brake industry. Call 1-800 VAN MARK (826-6275) for more details! 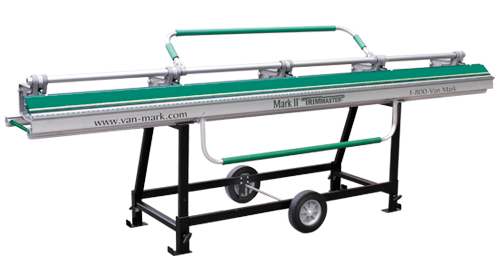 Designed for Contractor and DIY service, the Mark II TrimMaster® has all the features necessary to handle residential roofing, windows, and siding jobs. Engineered to be the ultimate siding saw table. Form profitable custom gutter hoods from trim-coil and gutter coil on the job site. Industry's strongest magnet assembly, built for rugged durability, and unique foot or hand debris release, makes this tool the best value for the money. Can't decide? let us help you find the brake that suits your needs. 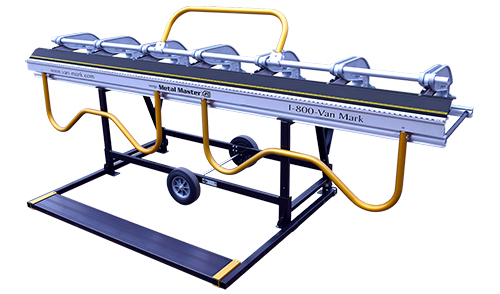 We are manufacturers of portable bending brakes, saw tables, slitters and gutter hood roll forming tools for the construction trades. We sell our tools through authorized distributors worldwide. In business for over 50 years, we have made a name in the industry by providing the strongest portable bending brakes found anywhere in the world.